Having previously blogged about Andy Murray and his chance of an award at The BBC Sports Personality of the Year, I wanted to enlarge on our British players as we have a huge amount of top tennis fixtures in the UK, such as The Wimbledon Championships, The Statoil Masters, The Aegon Championships to name the big three. It was interesting to hear Lendl discuss Andy Murray’s future and indeed his own. Lendl sees himself coaching the rest of Andy Murray’s career. “As long as it works for both of us, I can see myself being with him for the rest of his career,” Lendl told BBC World Service. He suggests Andy is only at 20% of where he wants him to be. 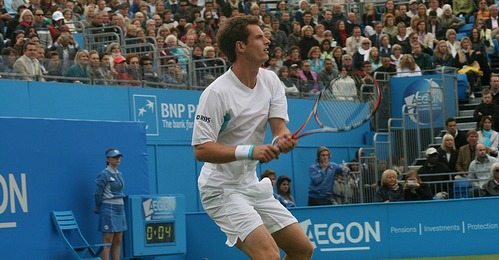 His plans are to improve Andy’s game “I take ‘point A’ – when we started working – now he’s at ‘point B’, and when I envisage I would say he’s about 20% there. He’s got pretty good credentials, being an eight-time Grand Slam winner. So it does seem like the appointment back in December 2011 was a good one. Earlier this year Andy Murray won US Open Championships, Olympic Gold, Olympic Silver Medal Wimbledon Final and ATP semi finals. Wimbledon Hospitality is pricey but over the next few years, Andy could be winning the best tournament in the world. When he lost against Federer in the final last year but then promptly thrashed him in the Olympics, it has sparked fresh debate over if Murray could become the first male British singles Wimbledon winner since Fred Perry in 1936. Sorry, Andy no pressure! Moving onto our ladies little star is Laura Robson. What a nice girl she comes across as! If we cast our memories back to the Olympics, you will remember both Andy Murray and Laura Robson were so close in winning Gold but came a gallant runner up. She won Junior Wimbledon at 14 and, as she has commented everyone assumed she would be beating Serena the very next day! Laura Robson only passed her driving test a year ago and while she has won nearly £350,000 in prize money this year alone, she does not own a car and makes do with a monthly allowance from her father. But if her transition from Junior Wimbledon champion at 14 to her current status just outside the world’s top 50 players has been slow and at times painful, Robson is quick to point out just how big a leap she has had to make in those four years. ‘It’s a really tough transition from junior tennis to professional tennis and I think it takes a strong person to do it’ she points out. Well it certainly make’s me proud to be British. I will be going in for my usual Wimbledon tickets for 2013, failing that the bank may have to fund a hospitality package at Wimbledon for 2013 instead! !